Points of Interest in El Hierro, Canary Islands. El Hierro is the smallest island of this archipelago, which doesn't make it less interesting. On its less than 280 square kilometers you might find many different landscapes from volcanoes till green prairies with pine forests. Description: The capital of this island. Has typical canary islands’ architecture and on its streets you might see many interesting things as a church from the XVIII century. Description: Designed by César Manrique. Located at 700 meters of altitude and offering unique amazing views. Description: A precious fishing town built by its own inhabitants, it has some beautiful natural pools. Description: This is a precious small, welcoming and quiet town. It’s an undescribable place, ideal to rest and enjoy some peace. Description: Ethnographic exhibitions from this island. Description: A virgin landscape with wide cliffs nearly never touched by human hand. Description: Beautiful municipality where you might find many interesting places to visit. Description: Two beautiful natural pools adapted for bathing. 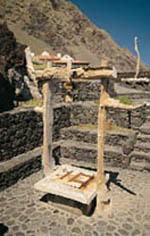 Description: Has a permanent exhibition that shows the historical evolution of the island of El Hierro. Description: One of the biggest on this island, highlighted by its natural sand with a reddish colour. Description: A small charmful town famous for housing the smallest hotel in the world. Description: Offers some magnificent panoramic views. Description: Municipality founded in 2007 where you might find many interesting places. 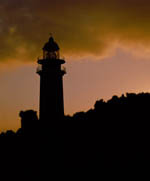 Address: El Pinar de El Hierro. Description: A small fishing harbour famous for the surf lovers due to the clarity of its waters and marine biodiversity. Description: For many centuries it was known as the “end of the known world”.